With thanks to Mr B’s Emporium of Books, Bath for sponsoring the local prize. A selection of twenty winning, shortlisted and longlisted stories will be published in the 2016 anthology in digital and print format. (publication likely in October, 2016). Follow us on Twitter @bathstoryaward and subscribe to our email list and posts to receive the latest news and competition updates. 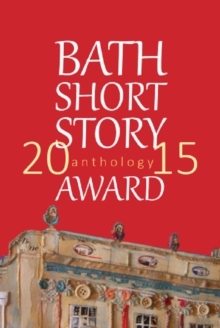 To read the winning, shortlisted and a selection of the longlisted stories from last year’s award, buy the 2015 anthology officially launched 19th November 2015 in Bath, on this site for £6 (inc p & p). (UK residents only). If you live overseas, the anthology is available digitally and in print from Amazon.